Did you know that 72% of moms with children over one-year-old work and moms with a full-time job spend 13 hours each day working at the office or at home completing family chores? Whether you’re a stay-at-home mom, work-at-home mom, or a working mom, you probably feel overwhelmed and as though you are always running out of time. Between managing jobs, the kids schedules, and meal planning, today’s mom does it all. So if you’re a busy mom who needs help with balancing the budget, balancing your schedule or just balancing “your act,” Carolyn Barnes from CleanMomma.com has some helpful ideas for overwhelmed moms on the run. Latest way to conquer those mountains of laundry clutter. 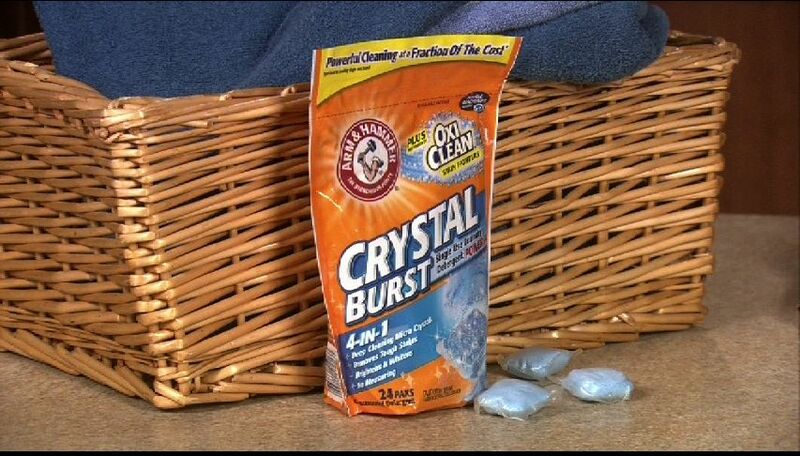 For most busy moms, laundry is a constant challenge and ARM & HAMMER® Plus OxiClean® Crystal Burst Power Paks is a new solution to conquer the mountains of laundry in your home. They are great for moms who need to save time since they’re pre-measured you just throw one in the washer and go. The Power Paks have over 99% active ingredients, provide cleaning power that neutralizes odors and they tackle the toughest stains that busy moms see every day like dirt, grass, blood and oil. Since there are no heavy detergent bottles, there are no messes or spills and the best part is you’ll save 30% over premium competitor prices. You can find out more at ArmAndHammer.com. The best kept secret for carpet cleaning that can save you money. Here’s a great way to save time and money on a dreaded chore of carpet cleaning. Vacuuming is not enough to keep your carpets clean. In fact, you should deep clean your carpets every three to six months since a pound of dirt can hide in every square yard of carpet. The best-kept secret in home carpet cleaning is Rug Doctor. Their machines are easy to use, clean most rooms in about 20 minutes and can save up to 80 percent over the cost of professional carpet cleaning services. They’re the only hot-water extraction cleaner with a platinum rating by the Carpet Rug Institute that’s available to consumers and have many professional level cleaning products to solve almost any carpet cleaning problem you may have in your house. 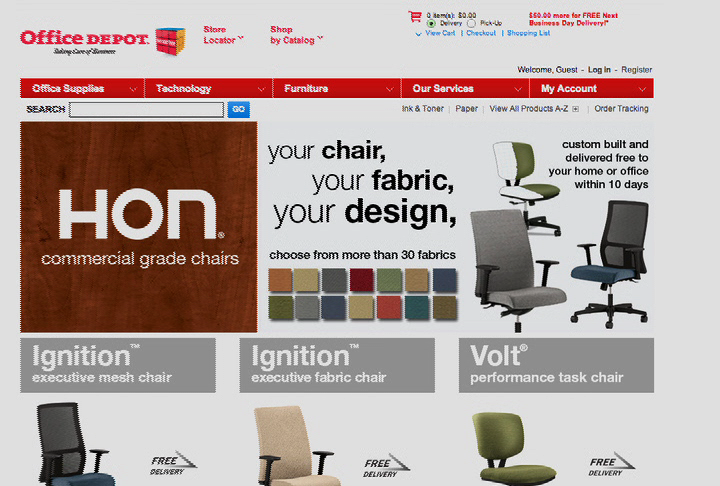 These include Anti-Allergen Carpet Cleaner, Oxy-Steam Carpet Cleaner and Pet Formula Carpet Cleaner. 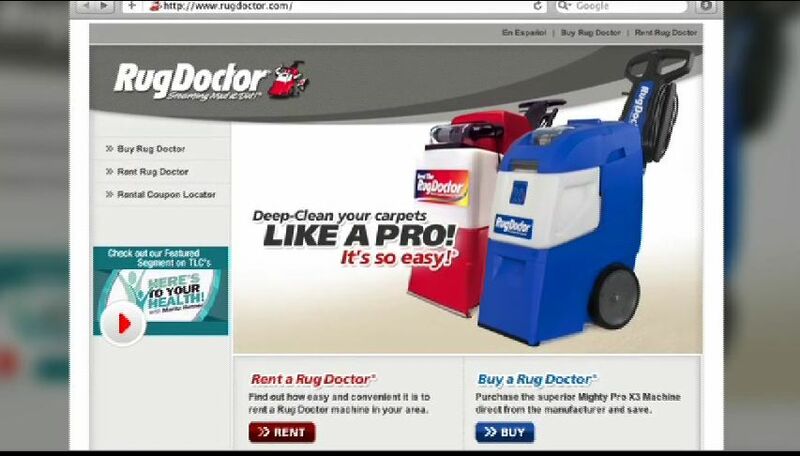 You can rent machines in major grocery stores and home centers or just go to RugDoctor.com to find a location near to you. A big money saving tip for your grocery budget. 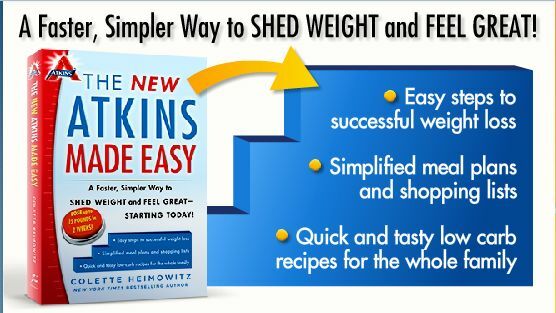 The biggest way you can save money is to stop wasting money and that starts at the grocery store. Carolyn says she didn’t used to have a plan when she went grocery shopping and she’d end up buying a lot of food that her family wouldn’t be able to eat before it went bad and literally waste $40 to $50 in groceries each week. She found that planning meals in advance and knowing exactly what groceries to buy saved her a couple hundred dollars a month. She now keeps a list on the fridge until she goes to the store and then Carolyn sticks to the list. 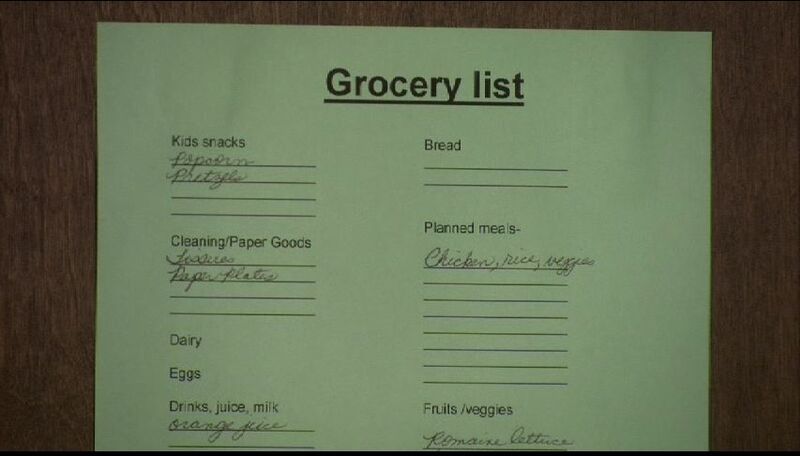 She recommends that if your kids are with you when you shop that you teach them the list is “sacred.” Another important grocery tip is make sure you get plenty of fresh fruits and vegetables to have on hand as snacks for the kids. 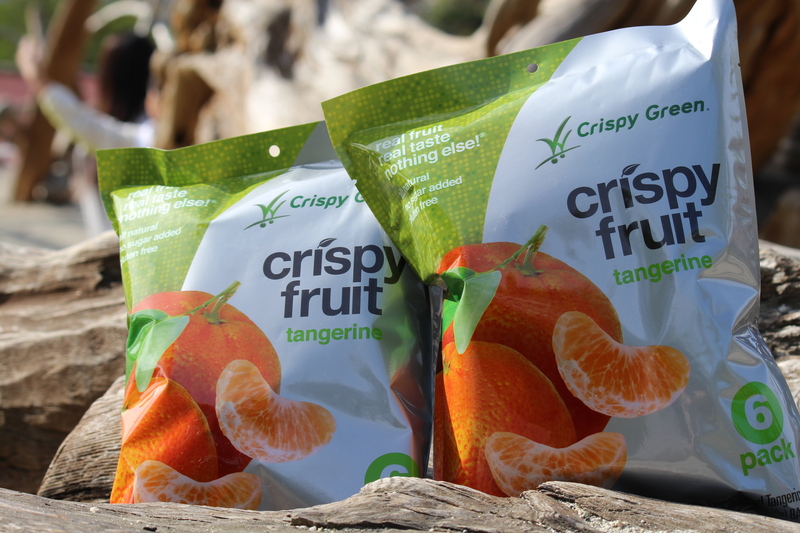 This is great for busy moms, since fruits and veggies are easy to prepare and healthy. Keep a bowl of fruit out on the kitchen table so that good choices are the temptation instead of cookies or potato chips..
How busy moms can get a little time for themselves. Busy moms can be a little a less busy with proper planning so time management and organization is key. Technology is great but Carolyn is also a little old school about making a list and keeping it on the fridge so she can keep adding items to it as I remember them. I also like that it gets it out of my brain and onto paper so my to do list is not cluttering my brain. If you take just five minutes to get organized, you’ll get time back for you at the end of the day or when you need it for exercising, relaxing or taking five minutes to look through a magazine. 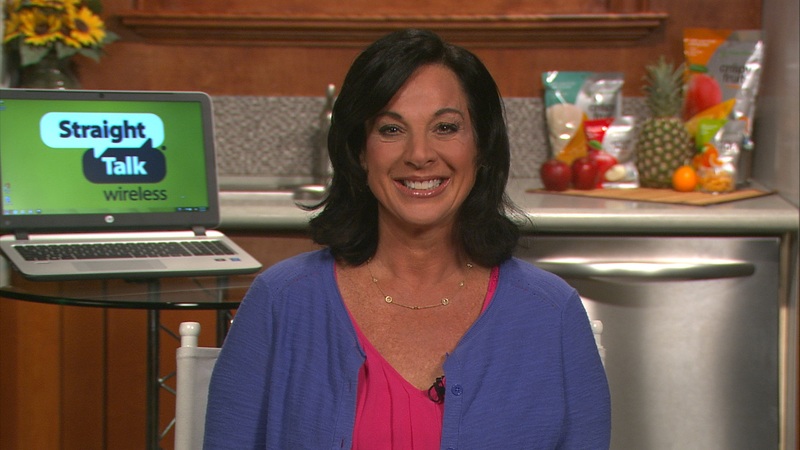 You can watch a video of Carolyn Barnes’s Busy Moms Survival Tips courtesy of WKYC-TV in Cleveland. Carolyn Barnes is one busy mom. A momtrepreneur with her own website, cLEANMomma.com, where she has great tips to help busy moms to conquer clutter and get fit in the process – both physically and financially. 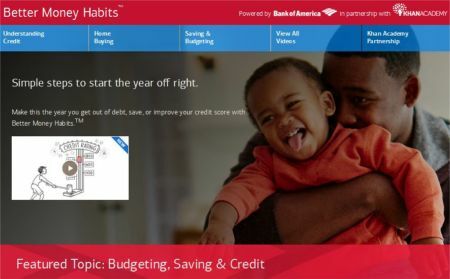 Her family has faced the same challenges many Americans have faced in the down economy and has great survival tips. Carolyn was recently featured on Good Morning America and has made numerous local television appearances Carolyn’s program has been featured on The Doctors, Style TV, KTLA News, CBS News, plus the L.A. Times, Washington Post, Shape Magazine, Fitness Magazine, and L.A. Parent. 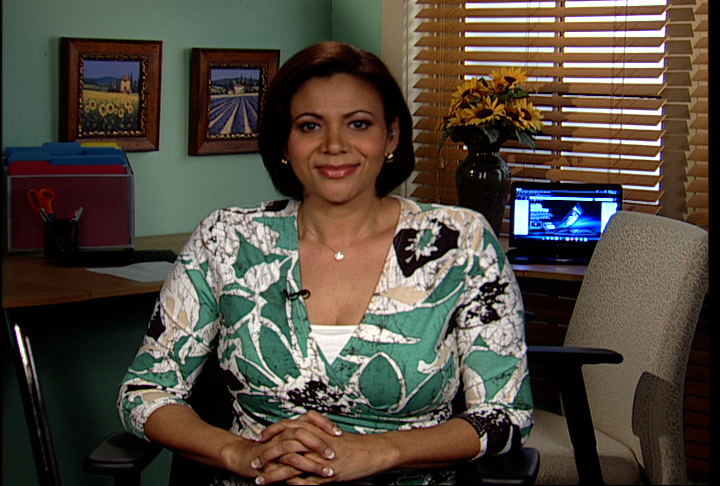 Tara Aronson’s Busy Moms Survival Tips for Overwhelmed Moms on the Run! Watch Video. Did you know that 72% of moms with children over one-year-old work and moms with a full-time job spend 13 hours each day working at the office or at home completing family chores? Whether you’re a stay-at-home mom, work-at-home mom, or a working mom, you probably feel overwhelmed and as though you are always running out of time. Between managing jobs, the kids schedules with school and play, cooking, and cleaning, getting organized and under control doesn’t usually come naturally and busy moms need help. Working Mom and Lifestyle Expert, Tara Aronson, wrote the book on helping moms get control of their homes and their lives with Mrs. Clean Jeans’ Housekeeping with Kids and she has five time management tips for busy moms. TIP # 1 – Don’t Skip Breakfast. Mornings are the hardest times for moms and kids with getting everyone ready for school and work and though you know that skipping breakfast is a bad idea, it takes a lot more time to cook a nutritious breakfast. 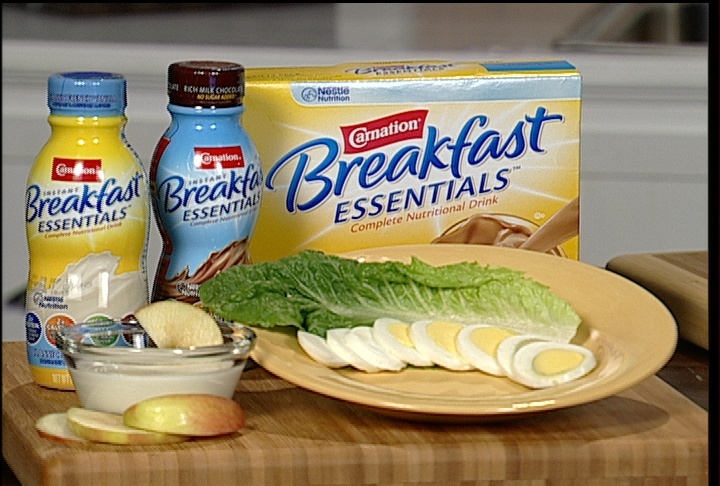 Here’s an easy alternative when you’re on the go and need to get out the door, Carnation® Breakfast Essentials™. It has more than two times the protein of an egg, twice the calcium of a 6 oz cup of yogurt and 21 essential vitamins and minerals in every serving. It’s also easy on the budget since one serving averages $0.76 when using a glass of milk and the kids can even make this easy breakfast by themselves which saves moms time during the morning madness. TIP # 2 – Make Technology Your Friend and Reduce Stress. Today’s mom can use the latest technology to help organize her day and find ways to relax. Here are two lifesavers for moms. 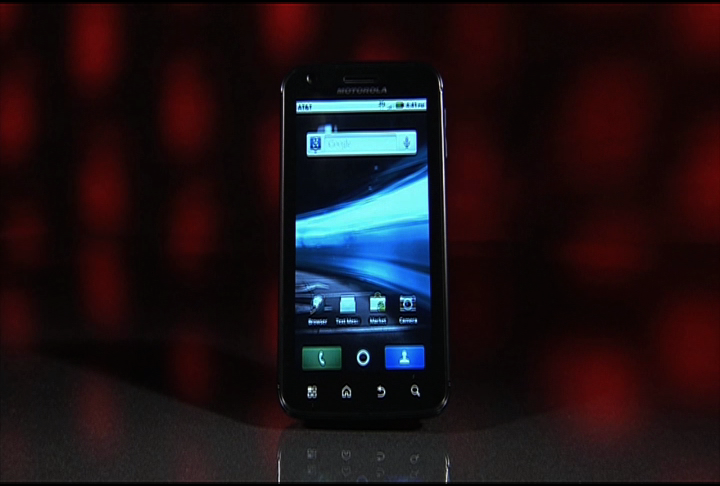 Whether you’re running errands or attending soccer practice, an Android smart phone will help you keep it all together. 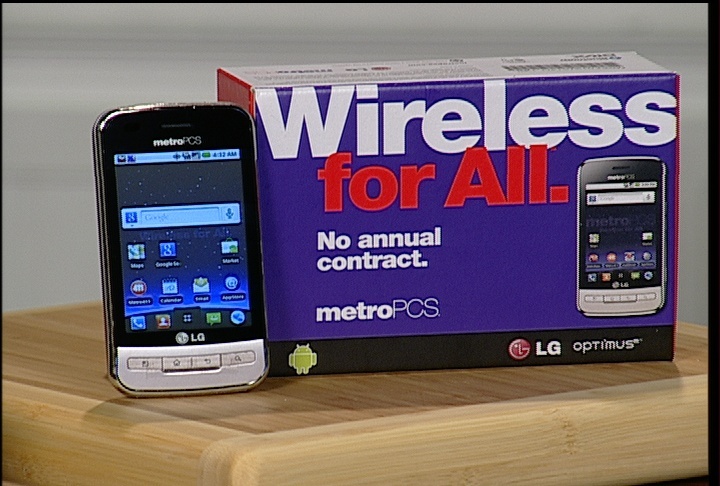 The new LG Optimus M from MetroPCS costs $229 and has over 100,000 apps with features like social networking, texting and email. 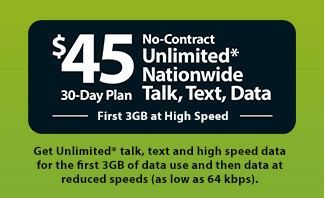 You get unlimited calls, texting and internet access, service starts at $50 a month and you never sign an annual contract You can find out more details at MetroPCS.com. Now, busy moms get stressed out but did you know that technology can help reduce stress? 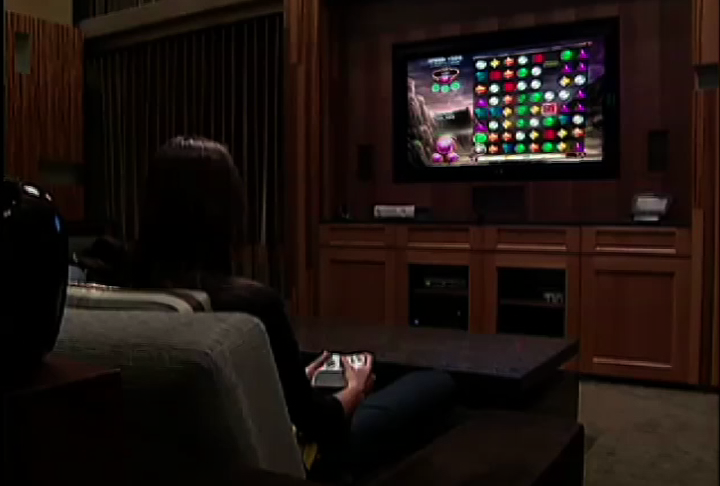 Video games aren’t just for kids and a recent clinical study conducted at East Carolina University found that playing Bejeweled 2 reduced stress 47% on adults tested. It’s easy to see why more than 300 million women around the world play it and now, the sequel Bejeweled 3 has launched with an expanded Zen mode for stress reduction where you can customize ambient sounds, mantras and even breath modulation settings. You can get it in stores or at PopCap.com. 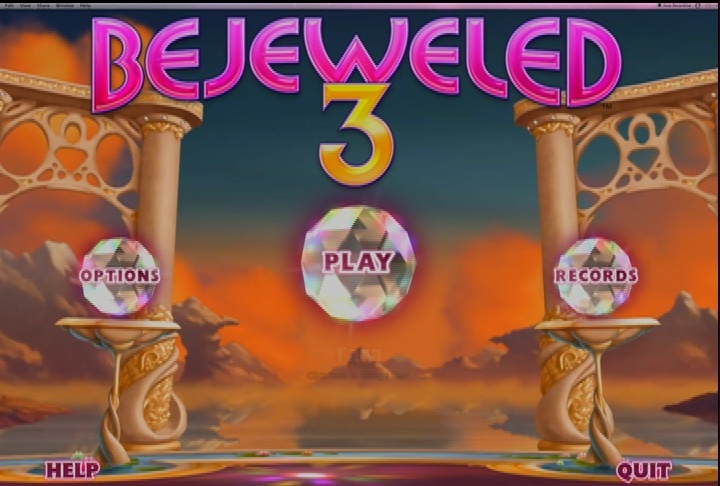 Get Bejeweled 3 in stores or at PopCap.com. TIP # 3 – Get the Kids Involved. First of all, you’re a mom, not a maid, and it’s important to be a good parent and teach your kids age appropriate chores to learn the life skills they need to succeed in life. That includes not doing every thing for them when they’re old enough to start making the bed, cleaning their room, taking out the trash, and even doing laundry. By delegating these chores, it’s less stress on moms and it’s teaching kids responsibility. Age appropriate chores teach kids important life skills and help busy moms. TIP # 4 – Conquering Clutter, Cleaning and Chaos. Here are three easy tips to conquer clutter, cleaning and chaos and it starts with keeping a schedule and posting it on the fridge, or “family central,” so everyone knows the plan and keeps track. Next, cleaning is delegated so that’s a family affair as well and the kids chore lists on also on the fridge. 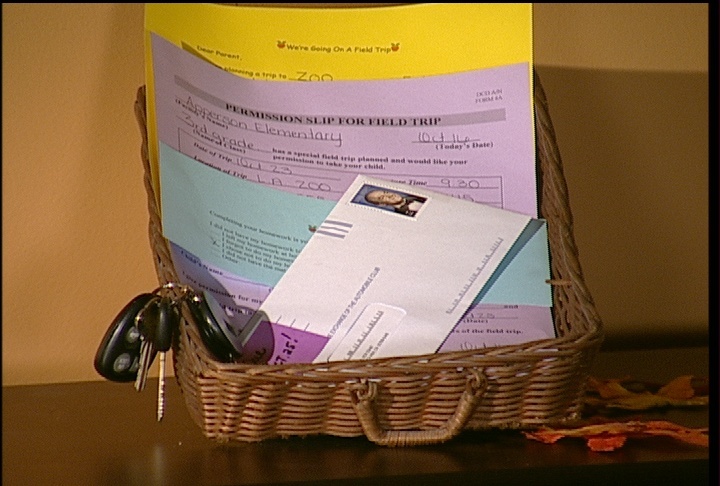 Finally, have a catch-all basket for important papers like homework that needs a signature, etc. and set that in a place you won’t miss it and keep another basket where you can collect items that go back to bedrooms so you only have to make one trip. TIP # 5 – Organize Errands to Save Time and Money. Organizing your time by combining errands will save you gas, time and money so plan your errands so you make one trip instead of three or four. Go to Tara’s MrsCleanJeans.com website to get lots of free tips to help you organize a busy mom’s life. Tips from Lifestyle Expert, Tara Aronson. 72% of moms with children over one-year-old work and moms with a full-time job spend 13 hours each day working at the office or at home completing family chores. Whether you’re a stay-at-home mom, work-at-home mom, or a working mom, you probably feel overwhelmed and as though you are always running out of time. Between managing jobs, the kids schedules with school and play, cooking, and cleaning, getting organized and under control doesn’t usually come naturally and busy moms need help. Working Mom and Lifestyle Expert, Tara Aronson, wrote the book on helping moms get control of their homes and their lives with Simplify Your Household and Mrs. Clean Jeans’ Housekeeping with Kids and she has smart time management tips for busy moms Here are her top five tips for a Busy Mom’s Time Management Makeover. TIP # 1 – Eliminate Morning Madness. Simplify your mornings by doing as many things as you can the night before. Sign off on homework and school papers, pack lunches, pack up backpacks and station them near the door and lay out school clothes including shoes, socks and hair bands. Finally, make sure kids set their own alarm clocks as it encourages them to be responsible for their own schedules. TIP #2 – Conquer Clutter and Cleaning to Prevent Chaos. You can conquer what I call important clutter like receipts, mail, permission slips and other important items by creating a temporary holding area with what I call clutter-buster baskets. These are not a permanent dumping grounds because you will check them daily and distribute the contents. Now, here’s a cleaning tip most people don’t know about. Many kitchens can get foul odors if the dishwasher and garbage disposal are not properly cleaned as directed in their Use & Care guides. In fact, dishwashers in particular can be a problem when dirty dishes sit for several days or when food residue is not completely rinsed away. I recommended something that is brand new on the market from Whirlpool for a cleaner, fresher dishwasher and disposal, Affresh™ Dishwasher and Disposal Cleaner. You use this once a month or as needed and it’s the only national two-in-one product available that removes odor in dishwashers and garbage disposals. TIP #3- Make A Family Calendar to Save Time by Organizing Schedules. Everyone in the family has activities so it’s important to make a family calendar. 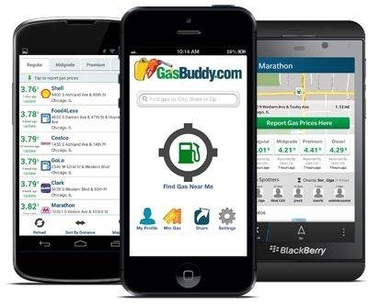 This can help you figure out things like what errands can be combined and if you can arrange car pools that can be real time savers. Also, establish routines with set times for homework and playtime so you don’t have to reinvent the wheel each day. Now, with school in full-swing, several play dates for your toddlers in the afternoons, and soccer games on weekends, kids can get some tough stains on their clothes that can be time consuming to get out. To tackle these messes, here’s another new product, Tide Stain Release. It’s an in-wash booster designed to help remove the toughest fresh and dry stains. Just drop one of these duo pacs into your washing machine, along with regular detergent, and Tide Stain Release will help lift tough stains like grass to ketchup on everything from your clothes to your favorite linens. TIP #4- Get the Kids Involved to Save Time Cleaning. Make family participation in household cleaning and maintenance the rule rather than the exception. On Saturdays, have your whole family engage in a 60-minute cleaning routine. This is a round the room and through the home cleaning and organizing system. The goal is turn housework into teamwork, with each member of the family helping to get it right and fast. TIP #5- Learn the Art of Delegation to Balance Work and Family. Working mothers of all kinds need to know that getting your entire family involved with effective time management is the key to overcoming overwhelm and balancing work and family. Too many times, moms try to do it all by themselves. They need to look at their family to as a support system. 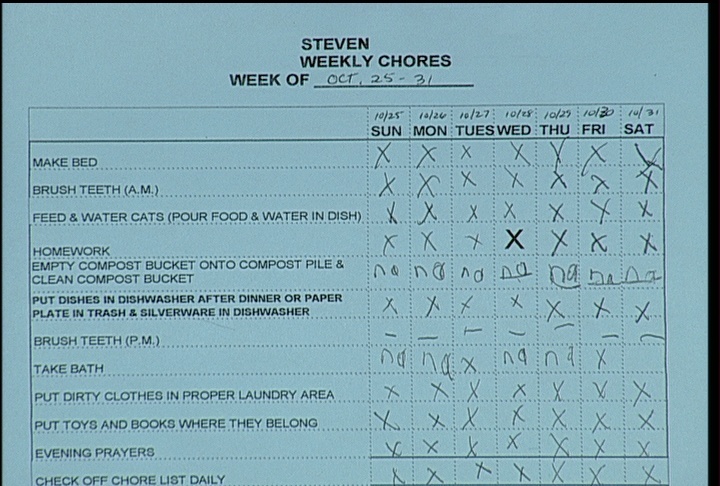 Start getting kids involved early with age appropriate chores to lessen your load. The more the kids pitch in, the less Mom and Dad have to do, and the more free time everyone has to go to the movies, eat out at a favorite restaurant or take afternoons off to head to a park or a beach. You are currently browsing the archives for the Time Managment category.